The man who did it is my friend Sean Platt. Oh, and did I mention that he did it while writing blog posts as usual, doing ghostwriting projects as usual, and co-authoring six other books that are about to launch (a couple of which he co-authored with me)?! Yeah, it’s pretty amazing – and even more amazing is the business strategy behind it, which he explained in detail when I got him on the phone. Danny: Hi Sean, thank you very much for taking the time to be with us on the call today. Sean: Oh, my pleasure, I’m thrilled to be here, thank you. Danny: For the benefit of our listeners, Sean Platt is an incredibly prolific writer and publisher whose home base is at CollectiveInkwell.com, and among many other things, he is the author of the brand new series called Yesterday’s Gone. Sean, why don’t you start by telling us just a little about Yesterday’s Gone, what’s it all about? 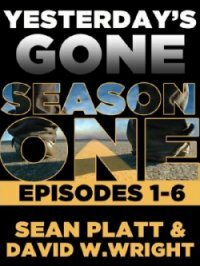 Sean: Well Yesterday’s Gone is about, it’s a post-apocalyptic thriller, but it’s designed specifically for the Kindle, you can read it on any eReader, but we, we were definitely trying to take advantage of a really large but, an eager audience, I should say, on Kindle that really likes to download. So we, we wanted to write a book, but we also saw that the people who were selling a lot of books on Kindle had multiple titles in the same genre. So we basically decided to model what we were doing on Kindle after serialized television rather than novels. So we have short, hundred-page episodes, which we also think really fits the modern way people like to buy their content, in kind of bite sized chunks, even though the model itself is, you know, a couple hundred years old, it’s what Dickens did. But yeah, we thought it was just perfect so we did a whole season, which is six episodes, and we picked a post-apocalyptic setting that was actually my partner David, it was, it was his idea, because he thought it would give us a nice sandbox to play in, where we didn’t have to do a lot of research or fact checking because, hell, the world’s over, we just made up a new one. So that was kind of the idea behind it and, it’s been an amazing project, and I’m just so, so happy it’s out there now. Danny: That’s really exciting, so six episodes of a hundred pages, is that right? Sean: Yep, that’s correct. And there’s a little overflow there, I think the finished project is actually closer to seven hundred. But it’s pretty cool because I wouldn’t have, you know there’s no secret, it seems like the people who are really doing well on Kindle, as far as independent authors anyway, they have a 99 cent price tag, and it’s just so compelling. I mean if you have a 99 cent book and you have a $10 book, the argument used to be between publishers and self-publishers: “Hey, is this guy really better than that guy? I mean, he can’t compete, he’s a self-publisher. Every other publisher turned him down, he had to put his own book out.” And so, self-publishers always lost that battle. Always. But the argument’s different now. When Stephen King’s new book is 14 dollars, and our download’s 99 cents, then the argument is “Is Stephen King’s book 14 times better than this?” And you can only keep that rhythm up so long, where you’re downloading you know, $12, $10, $8, $15 books, eventually you’re going to go look and see what else is out there at 99 cents and if you’ve got a 99 cent book and you’ve got 40 people giving it 5 stars and saying that it rocks, then you’re going to move content. Danny: And the transition only kind of happens one way, like if you’re stuck at, you know, you’re stuck on the $12 to $15 books, you know, eventually you might give the dollar book a shot and realize they’re good. But, once you’re, you know, reading books for a dollar, books that are good, you’re not going to go back to spending $15. Sean: You’re right! Exactly! And you build such trust and rapport. If you, and that’s the thing – you just over-deliver. And, and there’s this big, you always hear it in self-publishing, you know, there’s going to be so much crap, there’s the market’s going to get flooded… Yeah, there’s going to be crap, and yes the market’s going to be flooded, but the cream’s going to rise to the top like it always has, and you know, the reader reviews are going to dictate that, it’s just, they are. And you know, we’ve seen it with our few titles and we don’t have a lot of reviews, I really wish we had more, but every single one that we have except for one, across all our titles, is 5 stars, and they’re all organic, and that can only help us. But, if we were just putting out, you know, crap, then we would have no reviews, or we would have reviews that were not favorable. Or we would have people returning our books, and that’s, that’s, that’s the death knell. If somebody returns your book on Amazon, Amazon doesn’t promote you, and Amazon is the best affiliate in the world. You want Amazon to love you, and the way you get Amazon to love you is the same way you get Google to love you: you make people love you. And you make people love you by being awesome. Danny: I want to take a step back for a second and talk about the strategy and the business model, kind of behind this, because it sounds like a fantastic… not book, but series of books, frankly, but you made a lot of really interesting choices in terms of how you’re putting it together. I mean, first of all, you’ve got the six episodes instead of one big book, but you’re also releasing all six episodes at once, right? Danny: Like, you’re not releasing episode after episode after episode, can you tell us, well, me and our audience about, how did you arrive at this decision in terms of how to package, produce and deliver the content. Danny: At 99 cents it’s kind of like it’s an impulse buy, but you don’t want to pick up a 500 page impulse buy, it feels like a really big commitment, you know, 100 pages, light reading, sure, 99 cents, let’s do it. It’s, you know, it’s a fun thing to do this weekend. Sean: Exactly, and that’s where all the copy, the years of copywriting really came in handy. I know how to put in open loops, I know how to do all the stuff that makes, you know, superbly scripted television work, is just great copywriting. It’s keeping the viewer fastened. It’s keeping the reader on the page, and we were able to put in a lot of those open loops, and we were really able to build some spectacular cliffhangers. And so, when you’re done with your episode, just like when you’re done watching an episode of Lost, you want to watch the next one immediately, and Kindle allows you to do that with the click of a button. And so, our whole idea is, if the pilot is 99 cents, and then all the subsequent episodes are $1.99, it just makes sense, it’s a book at offer. Most consumers are just going to want to go ahead and opt for the whole season, and that works out really well for us, because the individual episodes are not a good deal, and if, for every 99 cent download, Amazon keeps 70% of that, so that gives Dave and I each 15%, I mean, sorry, 15 cents profit per download – not very much. But for a full season we, you know, we get $3.50 on that, I’m sorry, $3 on that and that’s much, much better, and it’s because the Amazon commission changes, it goes to 70% to the author, so that’s for everything $2.99 and over. So the full season purchase is really where the money’s at. Danny: You still have to have a huge number of people buying the book and buying the, like the whole season and continuing to kind of, re-purchase and re-buy and stick around, and I think that’s something that would seem challenging to people because when you’re in, I mean, most marketers who are not kind of selling really low-priced commodities, they recognize that number of transactions is not unlimited, so they want to maximize the deal value. How many purchases are you kind of projecting? How many readers are you expecting? Danny: An email from Amazon? Sean: Yeah, emails from Amazon. Amazon is like, handling our list, and that’s an amazing thing. You know, when I buy a book by an author, I will get an email from Amazon from now until eternity every time Stephen King comes out with a book. I just will. They know I love Stephen King and they’re always going to send me an email me when his new stuff comes out. And that’s the beauty of being consistent. I think there are so many parallels between what’s happening with Amazon right now, and what happened in the earlier days of blogging, where it really was just about being consistent, putting out really great content, enough people would link to you and then you were easy to find. Well now it’s saturated – it’s a lot harder, but the same thing is on Amazon – you put out good content, people link to it, it becomes easier and easier to find. I mean, if you think about Amazon as, as a domain, their pagerank is crazy! So, if you link build to your page on Amazon, it’s not that hard to rank for it. Danny: That’s really cool – I really like the Tipping Point aspect that is built into this strategy by virtue of just, Amazon as a platform. It gives you a lot of room to maneuver, and make really big things happen. But I do have a question. I mean, what happens if you don’t quite hit that 10,000 sale mark. Like, you know, you do, you’re doing well, you’re doing several thousand sales a month kind of thing. People are reading it, but you’re not quite over that tipping point. Is this like a “go big or go home” kind of strategy, or does it still work at levels of scale. Sean: The absolute beauty of this is there is no wrong answer. If Yesterday’s Gone doesn’t take off the way I believe it will, then we go to the next project on the list, and there’s thirty-seven of them lined up. Someone’s going to like something. You know, one of my favorite writing quotes is PT Anderson who made one of my favorite films, Magnolia. And he says “You just keep writing and writing and writing and eventually someone is going to like it enough to give you a lot of money to make a movie. And I think there’s a lot of truth in that. Now, you have to be a good writer. So there’s not – this isn’t the kind of thing where, yeah, if you put out a crappy book and you’re a good enough marketer, you’re going to push it. It’s not. You really have to be able to write stuff that people are going to want to talk about. Now, having said that, now, if you can do that then there’s no reason that if one title doesn’t stick, you just write another one. Especially if you know how to do, you know, some competitive market research. That’s one of the really fascinating things about John Locke’s success, is that he didn’t write a book and then find a market for it – he found a market and then wrote a book to match that market. You know, and it was fiction. It wasn’t like he was writing a non-fiction book for a very specific niche market – he researched a market, and then wrote a character that that market would love, and put them in situations that that market would love. So I don’t know, that’s pretty fascinating. And, you know, it’s like his, with him, the market came first, and with Yesterday’s Gone, for us, the model came first. But the beautiful thing that, I mean the most surprising part for me of this whole entire venture was how good Yesterday’s Gone ended up being. Because, really, I was just out to write a cool, trashy serial. And I wanted it to be really fun to read. That was my goal. I wanted it to, if anything, I was thinking more like the grind house stuff that you would see, you know very, like Tarantino, just kind of trashy and, but fun. I wanted it to be fun. But it ended up so much more than that. I love these characters, especially one of the villains, he’s just one of my favorite things I’ve ever done, and it’s been awesome on every level. Danny: Sean, I want to pivot the conversation a little bit to talk about the writing, because we’ve skirted around the issue, you’ve mentioned a few times the idea of developing an expertise at writing. None of this would be possible if you weren’t a really good writer. I mean, you know, being able to churn out seven hundred pages worth of story in a short period of time, and this is in addition to all of your blogging and all of your, I mean, you’ve got half a dozen other books coming out this year. There’s a lot of writing expertise on the table in terms of writing quickly, in terms of writing well, but correct me if I’m wrong, you’ve never taken any kind of copywriting class, have you? Sean: Nope, I’ve never taken, I’ve, not only have I never taken a copywriting class, I’ve never taken a writing class. I got in a fight with my guidance counselor in junior high school and never went back. So, you know. Danny: Haha, so where does this come from? Where does this ability come from? Is it… are you just the boy genius that was writing Shakespeare at four years old? Sean: Yeah, no, that would be just a huge, huge, massive overstatement, but, for example, my wife – I can write rhythmically, very, very fast, and my wife has always called it the magic tricks, that my writing is my magic, and I don’t think… there’s a music to language that I hear, because it’s very easy for me. Everyone on my team, what we refer to it as, they do the pencil, I do the ink. And, like, I’m a ghostwriter for a lot of people, but I have my own team of ghostwriters too. I mean, everyone on my team helps me be better than I am, and sound better than I am, and I can produce the volume that I can because I have help. I have a lot of shoulders to stand on and a lot of support around me. And yes, I am a very fast writer, I am, I am highly effective, and it’s very instinctual for me. It’s not hard work, it’s easy. But, having said all that, I can still only do 20% of what I’ve done this year if I didn’t have remarkable people helping me. Danny: So, do you need remarkable people, or do you need to get really good at writing, like what’s the path that you recommend for our listeners? Sean: Well, I think, I think you have to, if you’re going to write, you have to write every single day. You have to write every single day and you have to be okay with not self-editing. I also think you need to surround yourself with good people who compliment you. Now, those might not even be other writers. Now for me, it needs to be other writers, because I’m doing a lot of writing. But for example, one of my partners, Danny Cooper is, is a great developer and a really smart thinker and he brings the best out of me. And when we’re, when we’re building pages or conversions he’s always there to make my ideas better, or to say things that I never would have thought of. And I think that it’s really important in whatever you’re trying to do, to surround yourself with people who are going to make you better, whether that’s making your writing better, or making your marketing better, or just making your thought processes better, that’s really important. But if we’re just talking about writing, the absolute best advice I could ever give, to every single person writing is: You’re not writing fast enough. And I think that there’s this real, just wrong mistake that we believe that the longer writing takes, the better it is, and it’s not true. I think when writing takes a long time, it’s because the person is self-editing, and I think that’s one of the reasons that I was able to write so fast and so well so immediately was because I hadn’t been trained not to. I wrote like I spoke, and when you speak, you don’t self-edit. I mean, if you’re in like, a really specific social setting, or you have to be careful of every word you say, you’re going to self-monitor, but when you’re talking to your friends, you’re never are like self-editing every sentence, but yet that’s what you do when you sit down at the keyboard, and what I found, is that if I could just write without thinking, yes, I’m going to have some clean-up the next time. But I have found that the faster I write, the cleaner the voice and the more it sounds like me, and the more natural it flows, and every single person that I’ve been able to really, get them to do this, has ended up writing five or six times faster, and ended up being much happier with their voice. Danny: And how do you get people to do this? Sean: It’s really like a, you’ve got to jump off the cliff and believe it, because most people don’t want to write fast. They don’t. They want to sit and they want to think. And if you stop to think, then you are self-editing, and you start questioning yourself and you don’t ever get in that flow. If you just keep pushing then it really works and, one of the tricks that – ‘cause I had to train myself to do this, because I did it naturally, but I needed to write fast this year. I mean ridiculously fast, I mean, as you said, you know Yesterday’s Gone was 700 pages and we did that in seven weeks, but I had a partner for that, and I mean, Dave is amazing. I mean, not only did he do the skeletons and give me story beats to write to, and organized all of the times and dates, and I mean, he just did so much of the heavy lifting, I really had the easier job here. But, earlier in the year, I wrote Writing Online, which is four hundred pages, almost 100 thousand words, and I did it in thirty days, and the only way I did that was something that I think every single writer listening could do, and what I did, is I outlined it, and, I’m kind of a lazy writer sometimes, I don’t like to outline, I’d rather the story just find itself. But copywriting kind of beat that out of me, and I realized that, if you have, you know, you can’t copy write and just make it up as you go along, it’s impossible, because if you do that you’re not going to have good copy. So, good copy does need structure and it taught me that I needed to outline sometimes. So Writing Online was really, really detail outlined, and I just thought everything I thought a writer would want to know in that book, divided it into chapters. Most times I do this, it’s twelve chapters, this one happened to be 15, and then I just took 12 things that I knew needed to be in that chapter, I made a list. And then for each one of those twelve things on the list, I made a list of 3 questions. And then I would just come and I would sit down, I would answer the questions like I was answering and email. Like somebody sent me an email, answer the question, and I would spend five minutes doing it, and in that 5 minutes I could get three, four, five hundred words, and then, you know, I just did that over a series of 30 days and when I was done, you know, I had my rough draft, 5 minutes at a time. Danny: And how much editing did you have to do? Sean: Not much. It’s really clean because, again, I write like I speak. I think for, I think for most people the first few times, you’re going to have substantially more editing, because there’s a curve there and you get on the other side if it, and it becomes much, much easier, and it becomes much more natural and you’re not as afraid. I think a lot of that fear, initially, that “uh, this is going to be terrible, it’s going to be awful, I can’t do this.” And you know that’s, that is a barrier. Once you can cross that barrier, it gets much, much easier, and what I find now is that when I do that, I actually end up editing less more often than not. Danny: That’s been my experience as well. Sean, we’re coming up on a half hour and I want to be respectful of your and our listener’s time. When we do an interview at Mirasee we have a kind of signature question that we wrap up with, which might be a little more challenging for you to answer, but I think the answer might be a little more fun, too. So what we ask is, you know, we’ve got listeners on the call, they’ve heard everything you’ve said or they’re reading the transcript, and you know they’re really impressed. They’re impressed with everything you’re talking about in terms of writing and how to get better at it, they’re really impressed with the business model behind Yesterday’s Gone – they’re impressed, and they’re so impressed that they decide they want to take action. They say: “you know what, I’m clearing my afternoon, I’m clearing three hours this afternoon to start taking action.” What should they do with those three hours? Sean: Oh, that is a great question! Okay, I would say: download the pilot. The pilot is awesome, and if you don’t like the pilot, you won’t like the rest of the book, so, I mean, you won’t like the rest of the series. But you’ll know right away, you’ll probably know by page ten, if you like it or not. No, no, no, no, wait until you meet Boricio, there’s a character names Boricio, you gotta meet him, he’s a, he’s a big deal. I, I told my partner that as soon as we sell ten thousand copies I’m getting a white t-shirt that says “What Would Boricio Do?” He’s my favorite character, so, read past that, and you’ll know, and this is something to watch, because, the way you feel when you’re done reading it – other people are feeling that way too, and they’re the people who are going to fuel this forward, who are going to drive sales you know, who are going to make this a big deal, because this is a cool thing for writers. If you can write a serialized… and there’s no competition! Just write your story. You know, how many TV shows are there? There’s new ones every season, just get out there and write your dream. So I would say, spend three hours reading it, and if you like it, then don’t just go ahead and buy the full season, which would be awesome. And don’t just go ahead and leave a review, which would be even awesomer! But sign up to be one of The Goners. So there’s this, it’s our club, and we’re going to, you know, there’s going to be exclusive bonus episodes and stuff like that, but more than that we’re going to share some of the process that we’re going through trying to sell this, and if you’re a writer, if you’re at all interested in this model, then that’s definitely something that you want to do. Danny: Perfect, and the URL for people who are just listening? Danny: Perfect! Sean, thank you very much for being on the call with me today, this has been really fascinating and, I mean, it’s been a lot of fun working with you in general and Yesterday’s Gone promises to be really interesting, so listeners, you don’t need three hours this afternoon to just get on your Kindle, get Yesterday’s Gone and Get that first episode so that you can see if you like it, at least until you meet Boricio, and go sign up to Be A Goner, so that’s whether you like the book or not, you can follow the marketing and follow the strategy behind it because there’s going to be a lot of really interesting things happening here. Sean, thank you very, very much. Sean: Oh, my pleasure, it’s been great, it’s been a lot of fun. 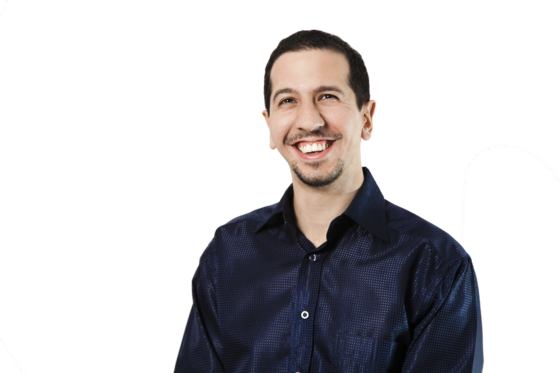 Danny Iny (@DannyIny) is an author, strategist, serial entrepreneur, and expert marketer, and has been dubbed the Freddy Krueger of Blogging. Together with Guy Kawasaki, Brian Clark, Mitch Joel, and many others, he is writing the definitive book about how to build an engaged audience from scratch. Next Post » My Blueprint for Building Website Authority… in 30 Days! Thanks so much for the valuable interview Danny, great questions and topics! I’m glad you liked it, Jason! Sean is great, and I think his insights into business models for fiction writing are amazing – and for writing and publishing in general (spoiler alert: Sean and I are publishing a co-authored book in January! ).